Gov. Rick Scott will sign legislation prohibiting the gaming at Internet cafés, his office said Thursday, following Senate passage of a bill that flew through the Legislature spurred by an on-going racketeering investigation. 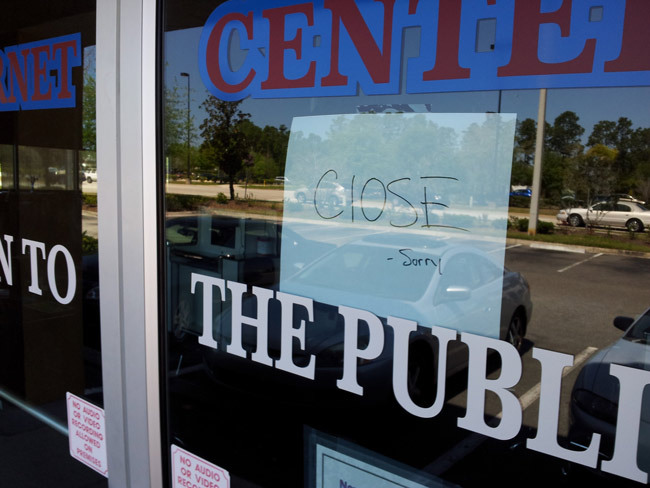 Scott had said prior to the legislative session that the cafés should be shut down, but had remained elusive in answering questions after legislation emerged to do just that. The proposal was shepherded quickly through both chambers after 57 arrests were made less than a month ago involving alleged illegal gaming by a charity, Allied Veterans of the World. The scandal also forced the resignation of former Lt. Gov. Jennifer Carroll, who once did wok for Allied Veterans. The Florida Senate on Thursday, despite strong opposition by a handful of South Florida Legislators agreed to accept the House version of the bill (HB 155), which had passed the lower chamber last month. The Senate’s 36-4 vote – Sens. Joe Abruzzo, D-Royal Palm Beach, Maria Sachs, D-Delray Beach, Jeff Clemens, D-Lake Worth, and Jeremy Ring, D-Margate, were opposed – came with its sponsor, Sen. John Thrasher and other proponents vowing the proposal will not impact businesses that offer legal games. Similar views were not shared by those who voted against the bill nor the Florida Arcade Association, which claimed that more than 200 senior and children’s amusement centers could be impacted by the ban. Ring said he hopes Thrasher is correct, but that he voted against the bill because of the outcry and concerns from seniors from his district. “The seniors, as long as they believe they could get shut down and they’re worried about it, I can’t support it,” Ring said. The concern is that language in the bill limits arcade games to coins, which could be a sticking point for places like Chuck E. Cheese, or possibly even Disney, which has started offering electric MagicBands that offer customers multi-uses, including using them for games. Sen. Garrett Richter, R-Naples, who chairs the Senate Gaming Committee, said if any problems arise from the bill, the issue could be addressed next year when a more sweeping proposal is expected on the future of gambling in Florida. “If there are unintended consequences that come to fruition we already have the vehicle in motion to make that correction,” Richter said. Another “we had to pass the bill to see what was in it”, but thank goodness the nanny state has protected us from ourseves.